Like it or not, we all try to play by the rules. Whether it’s passing through customs in a foreign country or having relaxed conversation with friends, there are always rules. We’re brought up with rules, and we consider people who don’t know the rules badly behaved at best, psychopathic at worst. People who know the rules pass through life with least friction. People who like friction have to know the rules to break them artfully. 2. 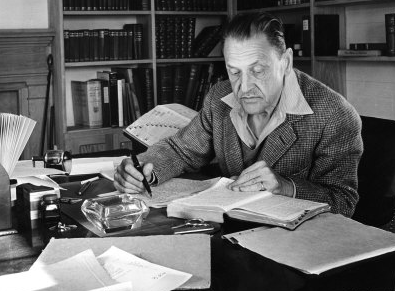 Maugham has a sense of humor. 3. Turn off the Word grammar checker. For reasons unknown, Word concludes that the ‘they’ in his rule is ungrammatical. If it’s only to create atmosphere, and not a character’s reaction to the weather, you don’t want to go on too long. The reader is apt to leaf ahead looking for people. 2. Avoid prologues. A prologue in a novel is backstory, and you can drop it in anywhere you want.
. . . he admonished gravely. To use an adverb this way (or almost any way) is a mortal sin. The writer is now exposing himself in earnest, using a word that distracts and can interrupt the rhythm of the exchange. You are allowed no more than two or three per 100,000 words of prose. Once you start spelling words in dialogue phonetically and loading the page with apostrophes, you won’t be able to stop. (Even) if you’re good at it, you don’t want descriptions that bring the action, the flow of the story, to a standstill. Or, if proper usage gets in the way, it may have to go. I can’t allow what we learned in English composition to disrupt the sound and rhythm of the narrative. It’s my attempt to remain invisible, not distract the reader from the story with obvious writing. If I write in scenes and always from the point of view of a particular character — the one whose view best brings the scene to life — I’m able to concentrate on the voices of the characters telling you who they are and how they feel about what they see and what’s going on, and I’m nowhere in sight. 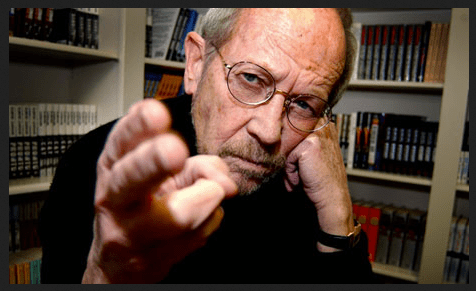 This entry was posted in Fiction, Mechanics, Uncategorized, Writing and tagged Elmore Leonard, W. Somerset Maugham, writing, writing technique by John Rogers. Bookmark the permalink.